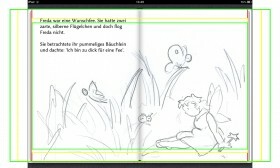 Finally our Book “Freda the Little Plump Fairy” is available on the iBookstore around the world. The book is about courage and confidence and how to overcome a desperate situation with the help of good friends and features the beautiful illustrations from Anna Karina Birkenstock. We are very happy to engage Grant Venable, a well known young American actor known from Desperate Housewives, Community and Criminal Minds to read our book. He shined in the lead role of Jojo in the hit musical “Seusical” and is 11 years old. “Freda the Little Plump Fairy” is now released for Kindle Fire & Kindle Android and available in the Kindle Shop at Amazon. For now it’s exclusive on Amazon for the next 90 days and you are able to lend it for free via the Amazon Prime membership. On November 1st 2011 we established our new publishing house – Tilda Marleen Verlag GbR. As our own publisher, we are delighted to be able to put some challenging and exciting projects into action. 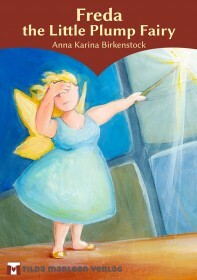 Our first e-book will be about Freda the little fairy. Her mind always wanders to thoughts of tasty treats so that she can no longer cast spells. But she faces a formidable challenge – will she be able to overcome her fear and combine business with pleasure? The second project is a classic “my most beautiful things” book for toddlers. It will be interactive so small children can play on it together with their parents and grandparents. Our ebooks will be published initially on the Apple iPad and later on the Amazon Kindle Fire and other 7” devices (B&N Nook Tablet, Kobo Vox etc.). All the books are written in German and then translated into English by native speakers. We are supported by a large and experienced network of freelancers (-> Team).